Brussels (AFP) - The Fidesz party of firebrand Hungarian Prime Minister Viktor Orban was suspended from the European People's Party Wednesday, the EU's biggest and most influential political grouping, the EPP said. A spokesman said 190 party members voted in favour of the suspension, with only three against, after reports of long and often heated discussions with Orban at a meeting in Brussels. Fidesz had faced expulsion from the EPP after running a controversial billboard campaign that accused European Commission head Jean-Claude Juncker and liberal US billionaire George Soros, a bete-noire of Orban, of plotting to flood Europe with migrants. 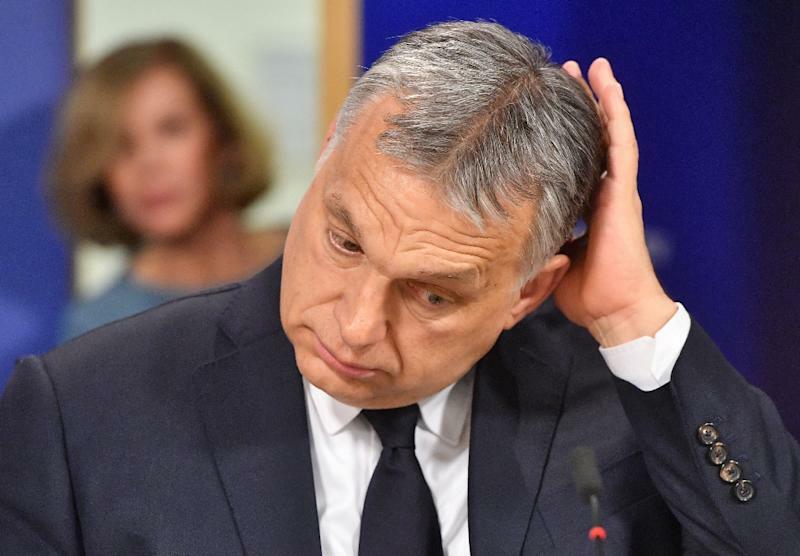 The campaign has since been dropped and Orban has apologised for insulting partners from the EPP -- the mainstream conservative group of MEPs -- though the party leadership had warned this was not enough. All smiles at a press conference after the EPP decision, Orban said it was "not possible to expel, or to suspend us, we have won four elections, so we decided to suspend ourselves unilaterally." The sanction against Orban, 55, has no end date, but party sources said senior party members would evaluate the situation and recommend next steps "probably in the autumn". "Exclusion is not off the table, it is on the table," said the EPP's Manfred Weber, who will be leading the party in European elections in May. "The EPP has lost the moral authority to lead Europe," he added.